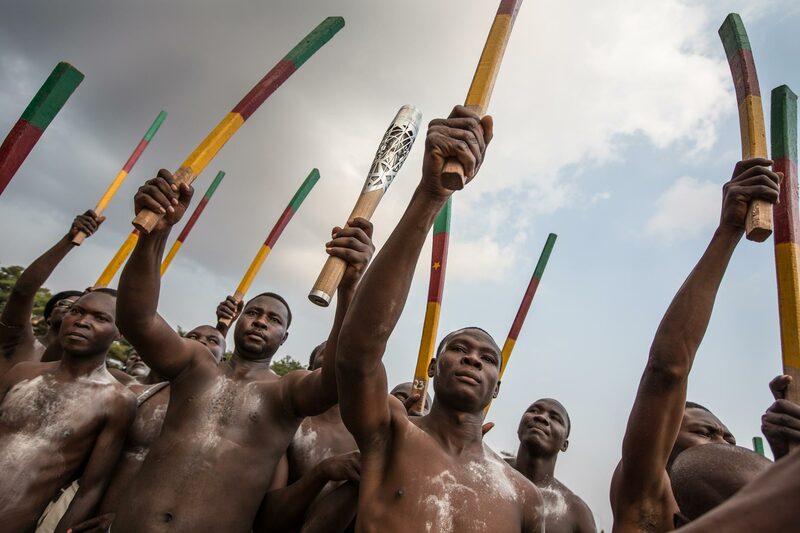 The Queen's Baton Relay journeyed through the streets of Yaounde, with the baton being carried by athletes and schoolchildren, before it was guest at a display of traditional culture, music and dancing by 'Club Koissa Gourna Toupouri', in Cameroon, on Thursday 9 January 2014. Cameroon is nation 25 of 70 Commonwealth nations and territories to be visited by the Queen's Baton. Photograph by Jeremy Sutton-Hibbert, copyright © Glasgow 2014 Ltd, 2014.